It has been several decades since the move away from full-service agency relationships where advertisers compensated their partners on a straight commission basis, to the use of specialized marketing agencies compensated on a direct labor or fee basis. However, in spite of the elapsed time, advertisers may still not be optimizing their agency fee investments. Over the course of our timekeeping system and fee reconciliation audit work we frequently come across vagaries and oversights that hinder an advertiser’s ability to leverage its investment in agency compensation. This is frequently compounded by the fact that there is little transparency into the accuracy of an agency’s time reporting vis-à-vis its timekeeping system. Lack of a proper agency staffing plan incorporated into client-agency agreements. 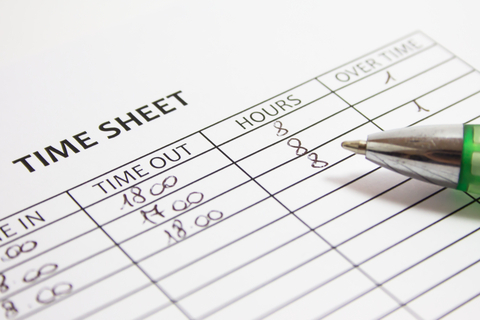 A proper staffing plan should identify annual full-time equivalent hours, the individual, their position, the pledged utilization level and the billing rate or departmental cost to be utilized to calculate and reconcile agency fees. While many client-agency agreements set forth processes for monthly time-of-staff reporting and quarterly or annual reconciliation reviews, few advertisers receive and or review these reports or reconcile fees to the agency’s time-of-staff investment. Further, it is rare that the advertiser has previously conducted an independent third-party review over the accuracy or validity of an agency’s time reporting. No definitive contractual approach for how an agency will report on and or bill for freelance or independent contract talent. A lack of clarity and controls in this area results in transparency gaps and billing oversights. Absent independent verification of agency time reporting, discrepancies are not transparent to the advertiser. And, absent accurate historical information, the problem is perpetuated when future fee levels are based on inaccurate historical time and cost assumptions. Armed with accurate costing and utilization information, both the Advertiser and Agency will be able to build on their joint efforts in fostering a strong partnership based on a fair underlying compensation structure. As a complimentary offer, and to talk through agency fee investment best control practices, please contact Don Parsons, Principal at Advertising Audit & Risk Management, at dparsons@aarmusa.com.